There are many task management and shopping apps available in the App Store. While some take care of your daily reminders and tasks, some prove to be a helping hand in your financial matters. But no matter how perfect is one, there are always some limitations that restrict its use for certain users only. No app is evergreen enough to be covering every field with the same perfection. So, the only option left for you is restlessly switching between them to carry out your different operations. But no more! The tradition has been put to rest by LifeTopix. 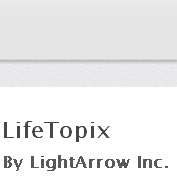 The app we are talking about, LifeTopix has been developed by LightArrow. 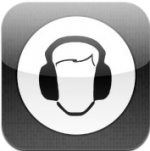 The app is compatible with iPhone, iPod touch and iPad and requires iOS 5.0 or later version. 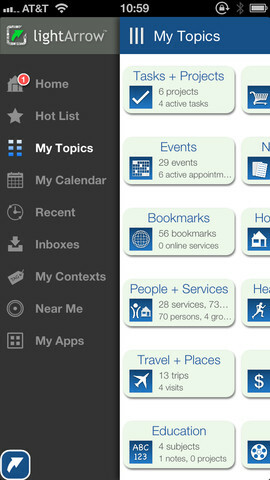 The app is also optimized for iPhone 5. 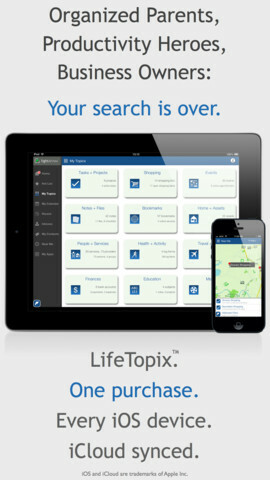 It is a life management and organization tool that covers each and every aspect of your daily schedule. So, when you download the app, you are taking home a personal manager that will take care of all your worries. The app has been sectioned into 12 different categories including Tasks, Shopping, Events, Finances, Media, and Bookmarks etc. to let you easily define the best category that suits your task. As you launch the app, you are greeted with the most recent due tasks. You can add new tasks with due dates and location optionally. These tasks are automatically synced with the in-app calendar so that you can easily keep track of all your task progress. Also, you can mark your favorites to add to be accessible from the Hot List. 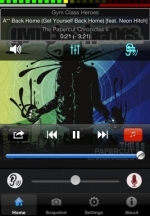 The app also takes your iOS device into consideration and going with the theme to make it “One Stop for Everyone”, you can also add shortcuts to your most frequent used apps which can be launched from the app itself. The app is so full of features that a book can be written on it. So, briefing down the discussion, we will be pointing out some distinct ones only. 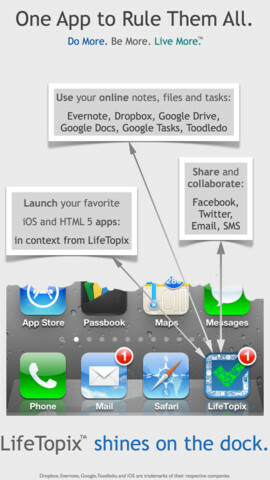 The app integrates popular To-Do cloud services like Dropbox, Evernote, Toodledo and many more. So, data backup is not a problem anymore. You can add accounts and pay bills as well as donations. This eases out the stress related to queues and saves up time as well. You can also set up some quick log tasks in sections like activity, nutrition, wellness, etc. The app is available for $0.99 in the App Store right now compared to its regular price of $3.99 for a limited time. With such a clean interface, neatly designed and well-sorted layout, the regular price is already a good deal meaning the present limited time offer is a steal and can’t be missed at all. 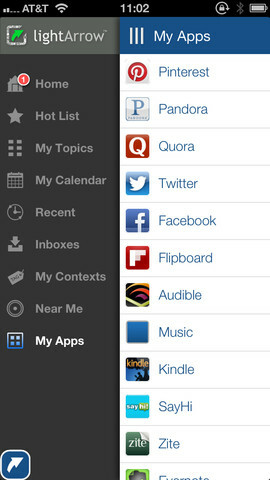 Getting it all under one roof is a big thing and rare as well and the app can be regarded as the Wal-Mart among apps.